Are you ready to go paperless? 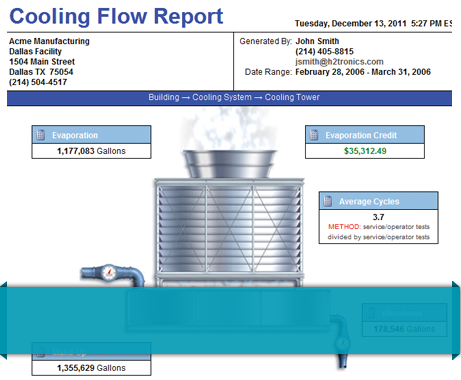 Designed as a forward-thinking solution for the water treatment industry, WCA Reports effectively replaces the traditional pencil and paper binder used by most water treatment companies with a modern, web-based reporting system. WCA employees document their service reports electronically so that the data can be compiled along with the data from the customer’s properly configured controller. Our customers are able to access their service report and controller data anytime from anywhere with Internet access. WCA Reports allows WCA customers to receive emailed copies of their service reports for their convenience. At the customer’s request, they can be setup to receive automated email or text message alerts for any test result outside of the normal range as soon as a service report is saved. The alerts contain all of the relevant information for specific tests and can be received via cell phone, company email, personal email, and more. Features such as these enable us keep our customers informed through either their direct utilization of the site or indirectly via automated email features. 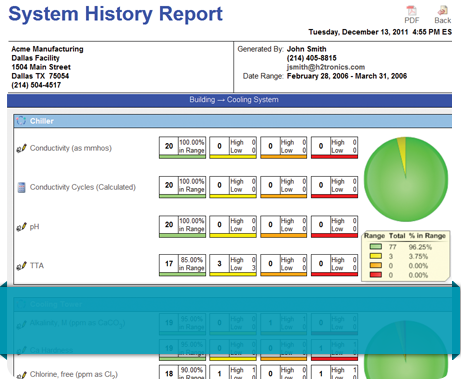 Our customers also benefit by configuring their compatible controllers to communicate with WCA Reports. Customers with a compatible controller, along with an Internet cellular or phone connection, can have their controller configured to send data to WCA Reports. Data from the controller is automatically sent to the server where it remains available for at least five years. 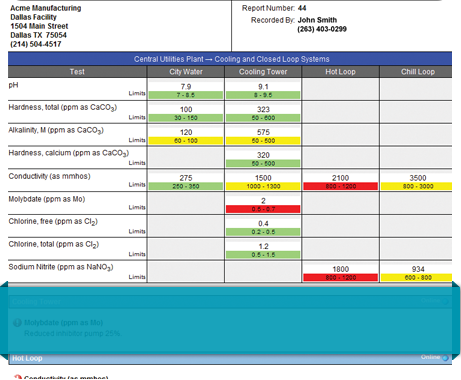 WCA Reports can also utilize this controller data to automatically calculate evaporation credits, inventory usage, and elution studies. Analytical tasks such as graphing test results from both service reports and operator logs against controller data are made to be quick and simple. WCA customers get regular service reports in WCA Reports. All test results are color-coded for at-a-glance interpretation. A green result is in range while out-of-spec results change color from yellow to orange to red as they increase in severity. Test results that are red may have comments that indicate the necessary corrective or preventative action to be taken. WCA representatives are able to include pictures and PDF attachments in their service reports as necessary. Pictures can be an important part of the documentation process during an equipment inspection, for visualizing a wet test result, and for other routine scenarios that WCA representatives document. Technical articles, equipment cleaning/storage procedures, and MSDS/product data sheets are all typical examples of PDFs that WCA representatives include with their reports. Service reports can be graphed to display at detailed statistical information as well as provide comparisons against other test results other report types as well as controller data. 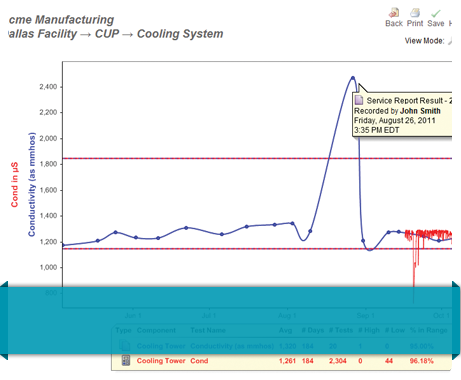 Inventory reports can also be graphed to calculate product usage.